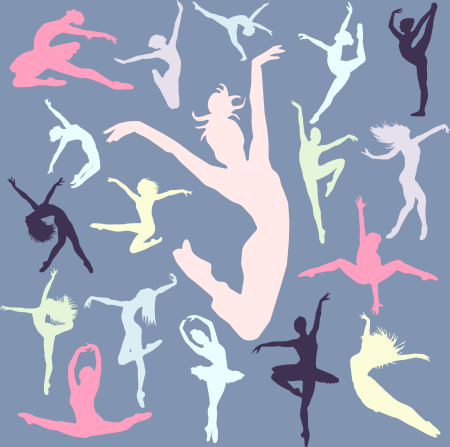 Tustin Dance Center has proudly served dancers from Tustin and throughout Orange County for over 40 years. Our program begins at newborn with our research-based, award winning Kindermusik classes specializing in child development. Activities enhance language and literacy skills, cognitive skills, and social emotional development, while providing the perfect foundation for formal music and dance lessons. Upon graduating from the Kindermusik program at age 7, students can read and play several songs on the Glockenspiel, the Dulcimer, and the Recorder. Toddler, Youth and Adult programs are offered in Mommy and Me, Youth Combo TBT, Ballet, Tap, Jazz, Contemporary, Hip-Hop, Urban Motion, On Fire Fit, and Pilates classes. Our talented and professional teaching staff is dedicated to providing dancers of all ages and abilities with the highest level of technique in a positive, family-friendly environment. Every dancer who walks through our doors is given the opportunity to advance their individual skills and meet their individual goals. If performing is your thing, we offer several exciting events throughout the year. Our annual June Recital, the Nutcracker Ballet, and many community service shows keep us on our toes and involved in our wonderful community. For the serious dancer, our performing groups provide the opportunity to set goals and perfect their skills while competing as a team or individually. Several of our dancers compete in the prestigious YAGP International Ballet competition, and have been accepted to train over the summer months at ballet programs such as the Joffrey Ballet, the American Ballet Theatre, Alvin Ailey, and Ballet West. Further, we offer private dance lessons or group dance lessons with our talented instructors. We also offer ballerina and themed birthday parties. Finally, we frequently rent the studio to groups or individuals who want to work on choreography with a TDC instructor or their own choreographer. From newborn to adult, beginning to advanced, recreational to career-bound, we value the opportunity to work with you! Register online, stop by the front desk or call us at 714-544-3072. View our current class schedule. · Foothill Showcase. Thank you to Megan Adamson, Aimee Ernt, Riley Ernt, Jenni Fawver and Gabby Gomez for representing TDC at the Foothill High School Showcase last Friday night! You always make us proud! · Summer Dance Classes. Are you wondering what classes to take this summer? Fill out the online form to receive a request from your teacher. Ask the front desk if you have any questions. · Spotlight Competition. TDC Dance Teams and select soloists and duos will compete at Spotlight competition on April 26-28, 2019 in Redondo Beach. · Maypole Dance. TDC dancers will perform a traditional Maypole dance twice on Main Street in Tustin on Saturday, May 4 at 12:00 and 2:00 pm. · YAGP, Dance Team 2019-2020 Season. TDC will soon schedule an information meeting to discuss YAGP and next year’s TDC Dance Teams. · Dance Team Tryouts for 2018-2019. Coming in May! · Dance This Summer! Sign up now for summer classes, camps and dance intensives. Check out our Summer Class Schedule. · Annual TDC Dance Recital. Preparations are underway for the TDC end of year recital ‘And the Beat Goes On!’ Recital participation forms are due now! Dancers need to complete one form for each class. Save the date – Saturday, June 8, 2019 at Servite High School in Anaheim! · Recital Photo Sign-Ups. We will soon post sign-up sheets at the studio for Recital photos. Make sure you reserve your photo spot. All dancers photographed will be up on our TCD Wall of Fame! · TDC Calendar. Check out TDC’s calendar for easy access to upcoming events and important dates. · Interested in piano lessons? Schedule your fall piano lessons now. Lessons available for all ages at Tustin Dance Center! Inquire at the front desk.